TANIQ has developed robotic equipment to automate the production of high-end mandrel built rubber products. Scorpo Robotics is the trade name for TANIQ's automation setups. The Scorpo set-ups are customised to fit the desired product dimension per customer. Two standardised set-ups form the foundation: a medium setup and a large size setup. Each robot has been designed for a specific range of products up to certain dimensions. The robotic set-ups have been designed to be customiseble and can be tailor-fitted to each situation. In addition, special custom setups can be developed on request. In combination with the extensive Technology platform, Customised Design Software, and FEA Toolbox, TANIQ provides a unique solution to the rubber industry. To automate the production of reinforced rubber products, TANIQ has developed the Scorpo Robotic system platform. Research and developments has resulted in a reliable automation solution for various applications. A large variation of products can be manufactured with a single robotic system that is capable of automated placement of rubber, reinforcement material and wrapping tape. The overall design and operation of the robotic systems is identical from one robot cell to the other. However, because of the specific expertise and specialisms of different manufacturers in the industry, the systems can be customised per application and customer. Or completely custom systems can be developed. An overview of the robot cell layout and customisation options is provided. To automate the production of reinforced rubber products of medium product size, TANIQ has developed the Scorpo Virgo. The Scorpo Virgo is suitable to manufacture products up to approximately 3000mm length and 1500mm diameter. The Scorpo Virgo is used for manufacturing of pipe-plugs, expansion joints and lifting bags, and is also suitable for products of comparable dimensions such as inflatable packers, pinch valve sleeves, air-springs and more. The system has been designed to be customised and optimised per customer. If customisation is required and to what degree depends on the customers situation, for example, the product types, size range, design and facility. 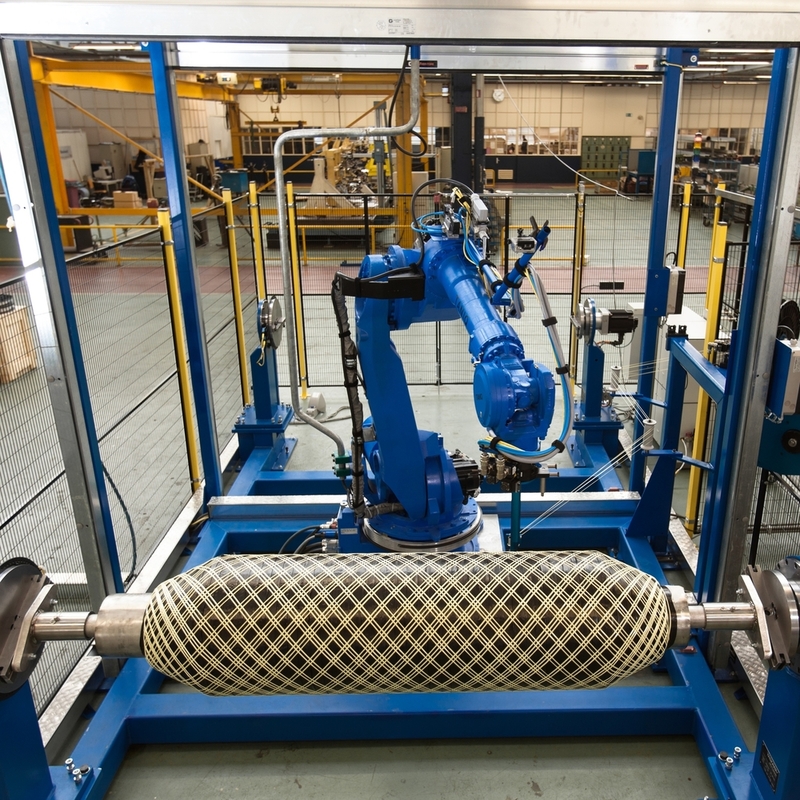 After successful development of Scorpo Robotics for medium size products, TANIQ has now developed Scorpo Robotics for large diameter (0.4m -2m) hoses up to 12m long (Customisable according to customer's requirements). 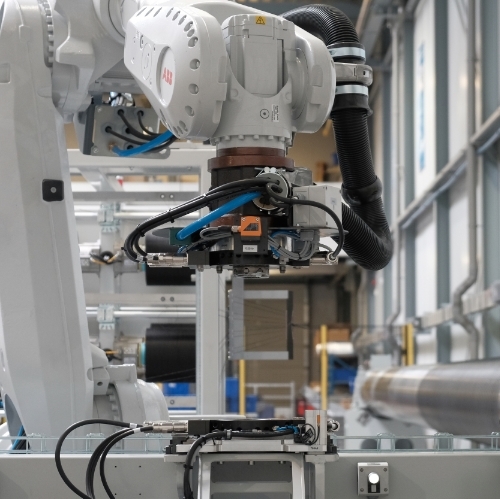 The developed set-up is not a conventional automation solution to replace the current manual production steps, but a new technology to optimize the hose reinforcement construction in combination with automated production. Optimisation of the reinforcement construction include topics such as continuous wound reinforcement layers, multiple- layer optimization and integrally wound metal couplings. These optimisations can only be implemented in production using accurate robotics. Robotic automation provided by TANIQ is unique in the rubber industry. The automation processes and product designs are distinctly different form conventional products. To answer frequently asked questions and provide an understanding of the basics of the Scorpo Robotic automation setups, the FAQ are covered.